This delicate candy, specialty of Aix-en Provence, consists of well-ground white almonds, melted with selected candied fruits and home-made fruit syrup, based on a thin sheet of wafer, and covered with a bright white icing. It has become over the centuries the gastronomic emblem of the famous city of Aix-en-Provence, where the painter Cezanne used to live in the late nineteenth century. 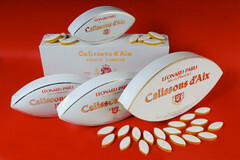 To date, the calisson is still made in accordance with the ancient traditional recipe. Excellent at tea time and for gourmet buffets, it matches perfectly with coffee, sweet wines, black teas or even Japanese macha. Its taste is a beautiful range of subtle flavors well-balanced of almond, orange and candied melon. 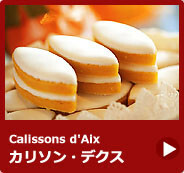 Calissons can either be given as a gift, a personal pleasure, or simply a pure moment of sweetness. 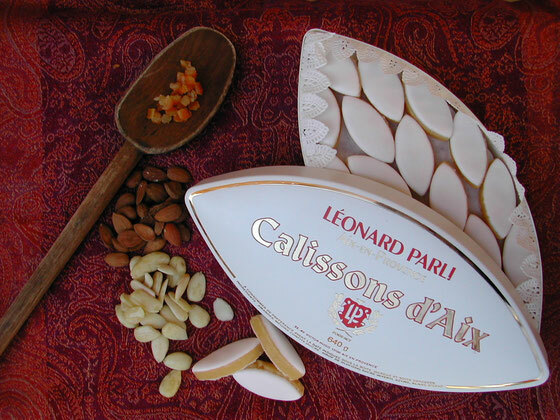 Calissons are also top of the traditional "13 desserts" eaten at Christmas in Provence. 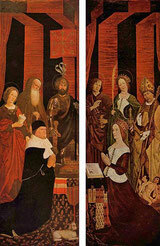 It is said that the calisson made its first appearance in modern form in 1473 on the occasion of the wedding dinner at King René’s marriage with Queen Jeanne. The head of the king’s confectionary served to the Queen these sweet pastries lozenge shaped like her eyes, and it is said that she smiled for the first time when she tasted that candy. But we have to wait the introduction of the almond to Provence in the 16th century and the development of its trade in Aix, as almond production spread, for this pastry become popular, and Aix-en-Provence its world capital. After the great plague of 1629, the heads of the city made a vow, still perpetuated every September 1st at Notre-Dame-de-la-Sed church, with the famous blessing of the Calissons. During the service, the Archbishop of Aix chanted the Latin "Venite ad Calicem" (come at the chalice), and the Provencals translated this to "Venes toui i calissoun", or "Venez tous au Calisson" in French (Come, everybody, to Calisson). And the name stuck. 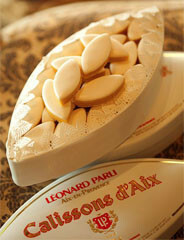 This then a religious festival is celebrated every year in Aix in September, called the “blessing of calissons”. 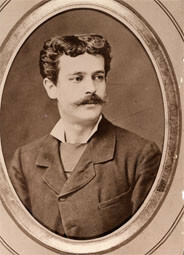 In the 19st century, the first calissons factories were created, and at the beginning of the 20st century there were about 20 manufacturers in Aix. Today they remain just one dozen, still making calissons in accordance to the antique recipe, perpetuating 4 centuries of tradition. The Leonard Parli manufacture of calissons has been run by the same family since 1874 and its know-how passed from generation to generation. The secret formula has been respected throughout. 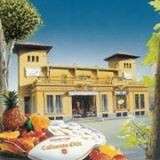 The company is famous for the quality of its high level confectionery, in particular the Calisson d'Aix as well as the crystallised fruit and nougat. 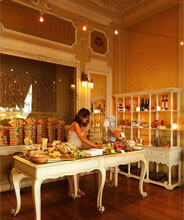 Their products can be found in select establishments such as FAUCHON, HEDIARD, the BON MARCHE, DEAN AND LUCA. They are present all over Europe and US and now in Japan in our shop at Ryogoku.